Imagine being a refugee. After escaping certain death in your home country, leaving behind everything including your identity, you now live in a ramshackle shanty with few rights. Years pass. You settle into a routine, holding tightly to the dream you’ll one day return to your former life. Then a powerful storm comes, tearing the walls off your home and drenching everything within. As the bitter cold of winter intrudes, you’re once again forced to make tough decisions about survival. 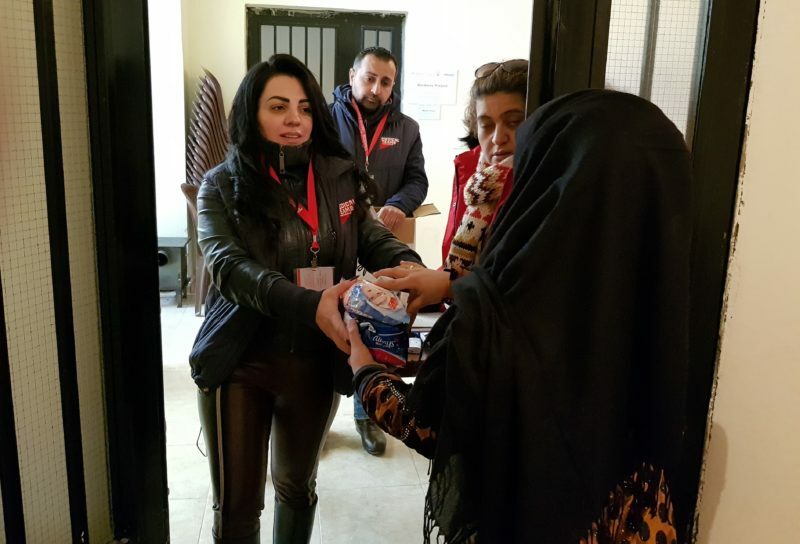 This is the experience facing thousands of Syrian refugees this month, as powerful winter storms sweep through settlements of Lebanon’s Bekaa Valley. Thousands like Halima’s family find themselves again displaced because of the storms. 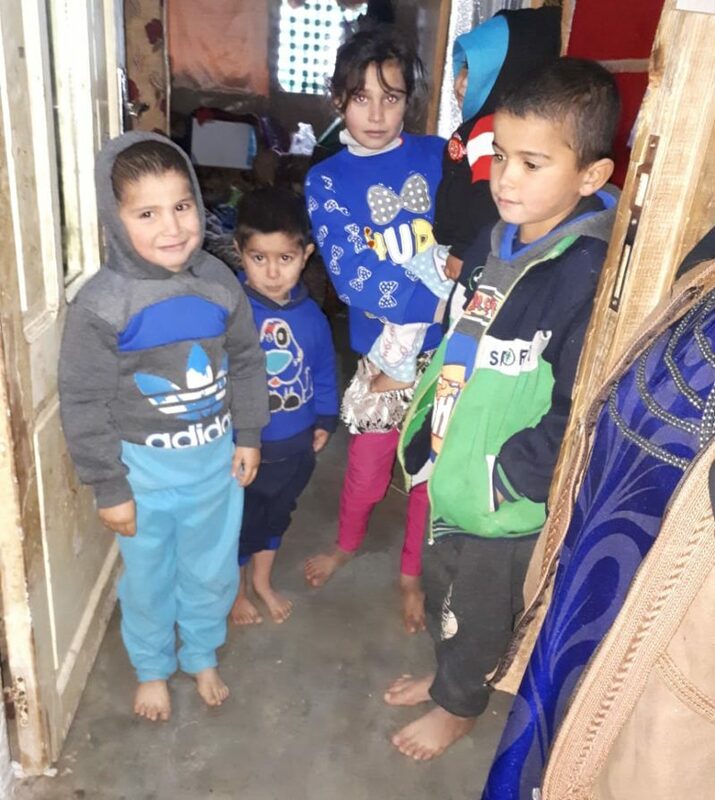 Faced with howling wind and fierce rain, Halima’s family of 16 squeezed into the only place free of rising flood waters — a tiny room in the back of their makeshift shelter. There they huddled for warmth, without electricity or running water. All clothes and mattresses were soaked by grimy, freezing waters. Halima’s children in their home’s one dry room after Storm Norma. This was the situation for Halima’s children when Storm Norma blew through Lebanon, ravaging the refugee settlements of the Bekaa Valley. All she and her family could do was pray for the water to disappear. Refugee Outreach Volunteers (ROV’s) — trained and equipped with your support — spread throughout the settlements to help those in need. In one case, an ROV discovered a 26-year-old pregnant woman named Hanan who was feeling abdominal pains caused by the extreme cold. The ROV, herself a Syrian refugee, called an ambulance to have Hanan taken to a hospital. Medical Teams staff distributing supplies to people affected by the storms. Elsewhere, refugees exposed to the wet-and-cold conditions needed supplies and health screenings — especially pregnant women and the elderly. Running away from their homes again wasn’t easy, these people said, but it was necessary because their homes had become uninhabitable. The first storm has passed, but more is on the way. This has been a particularly brutal winter in Lebanon and there are no signs of it letting up. Unpaved dirt roads, slicked by rain and ice, make accessing settlements difficult. But with Refugee Outreach Volunteers at the ready, plans are in place to help vulnerable people receive the care they need during this challenging time. Amid the crisis there are signs of hope and happiness. Hanan, the pregnant woman who rushed to the hospital because of the efforts of the Refugee Outreach Volunteer, gave birth there the next day. She’s staying at the hospital until the new storm passes. Despite having lived free of war for several years, Syrian refugees in Lebanon remain in crisis. With the flash of a storm, their lives can quickly disassemble. They need support and care at this time. You can make a difference today. “Mom, we’re dying – we’re dying, mom!” All she could do was stand stone-footed, unable to move.